Phase 2 of the Capital Project is underway at the Elementary School! 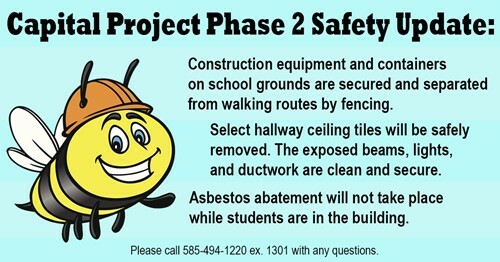 As construction begins, we want to assure the community that a safe and nurturing learning environment for our students remains our primary concern. We are excited to share updates as the project progresses!